The success achieved by Gurgaon in the last few decades is exceptional. Every growth factor is telling the story that Gurgaon is one of the best cities in India for a wonderful and luxurious lifestyle. Today, Gurgaon has achieved the tag of one of the best real estate markets if India and the way it is developing, its glory will definitely be counted among the best cities in the world. Gurgaon city never sleeps and you can find great leisure activities, places having fun all the nights, discos, bars which open throughout all night. Behind the ultimate glory of Gurgaon, commercialization is the biggest reason. Companies who have analyzed the importance of this land have established their offices here and now they are growing their businesses over here. People from everywhere in India and also from the other countries come here every year in order to make their future better and prosperous. There are countless white collar jobs here in Gurgaon. Investments here in the real estate sector provide safer and guaranteed returns. The ever-growing demands here for the residential properties provide them with the assurance and so this emerging hotspot for realty investments is a great option to invest in the properties. Either you are a luxury seeker or an investment expert, you will find Emaar Palm Heights as a complete masterpiece for both these aspects. There is a glorious range of extraordinary 3 BHKs in this township which provides an elegant charm and glory to its users. 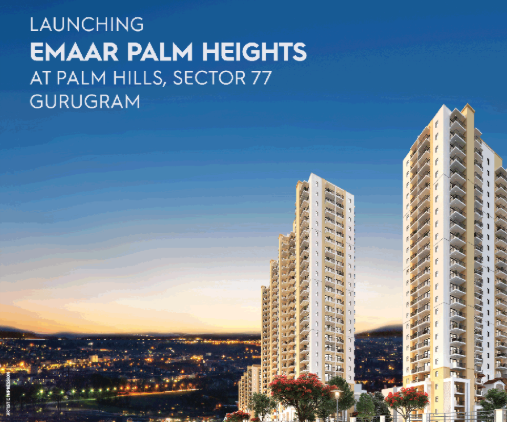 All these modern living spaces in Emaar Palm Heights Gurgaon have been designed with finely crafted interiors and their apartment areas start from 2000 sq. ft. onwards. Special consideration has been made here in the floor planning of these Vaastu homes to provide the residents with ample cross ventilation. As the region around Emaar Palm Heights Sector 77 is very well-developed, the residents here do not need to go anywhere else for any of the public utilities. Several schools, colleges, hospitals, departmental stores, shopping malls, restaurants, multiplexes are available in close proximity to the township. 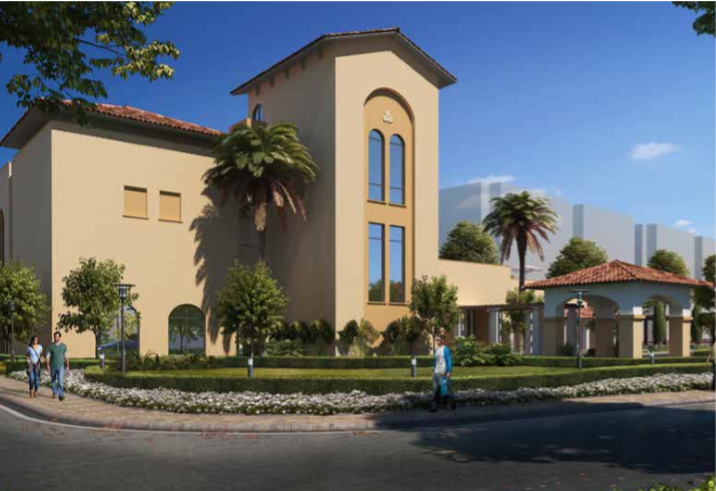 Loaded with several outstanding amenities, the complex provides great luxury features to its customers. A few of them can be listed as an L-shaped swimming pool with deck, a modern clubhouse, large landscaped green acreage, large playground, crèche, tennis court, multipurpose hall, gym, video security etc. 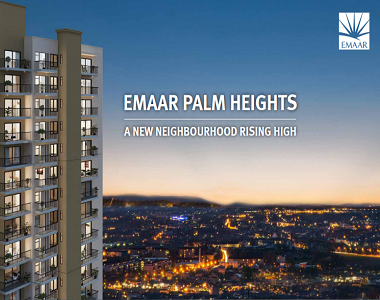 These marvelous apartments here are available in the great Emaar Palm Heights Price starts from Rs. 97.99 lakhs onwards.